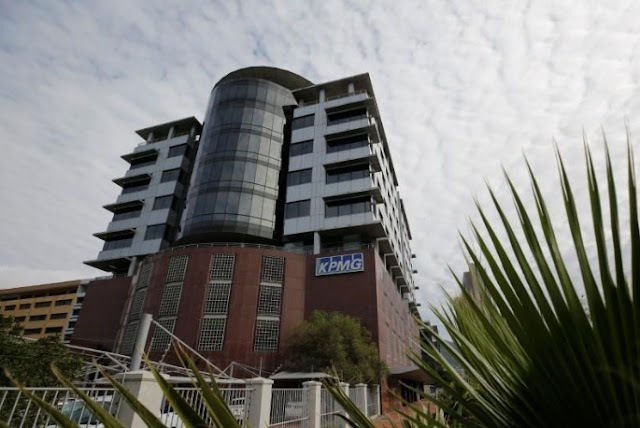 FILE PHOTO: The offices of auditors KPMG are seen in Cape Town, South Africa, September 19, 2017. CAPE TOWN - KPMG South Africa’s new chief executive Nhlamu Dlomu is “greatly disappointed” by the work it did for the tax agency and companies linked to friends of President Jacob Zuma, she told parliament on Thursday. KMPG sacked a number of South African executives last month after it found work undertaken for firms owned by the Gupta family - a trio of Indian-born businessmen with close ties to Zuma - “fell considerably short” of its standards. “I am determined that these mistakes do not happen again,” Dlomu said in a statement to lawmakers. KPMG South Africa’s new chief executive Nhlamu Dlomu is “greatly disappointed” by the work it did for the tax agency and companies linked to friends of President Jacob Zuma, she told parliament on Thursday.